Healthcare IT outsourcing market has been seeing consistent growth over the few years. According to a recent report by MarketsandMarkets, "the global healthcare IT outsourcing market value is projected to reach USD 312.43 Billion by 2022 from USD 191.68 Billion in 2017 at a CAGR of 10.2% during the forecast period." For over a decade, healthcare businesses such as hospitals, labs, clinics have been relying on outsourcing their IT operations due to lack of in-house IT expertise. Today, more and more functions of IT operations are being outsourced in order to reduce costs and meet the regulatory guidelines. Healthcare IT outsourcing market in 2018 appears to be all set for positive growth and we can confidently expect healthcare businesses to trust outsourcing services providers with a bigger chunk of IT operations than before. In this write-up, we will cover some of the upcoming trends in healthcare IT outsourcing. Every day the healthcare industry generates a colossal amount of data that needs to be entered into the system, transcribed, managed, stored, cataloged, and secured. Data pertaining to electronic medical records, digital monitoring, patient reports, pharmacy, billing, insurance, and doctor notes are all vital for a successful healthcare business. Increasingly, the players in the healthcare industry are opting for outsourcing complete data management, so that they can focus on providing the best possible care to their patients and reduce their administrative burden. Mid-sized healthcare organizations are finding it difficult to manage their colossal IT infrastructures that are spread across cities and countries. Apart from managing IT assets like desktops, laptops, PDAs, tablets, mobile phones, medical equipment, servers, and networks; there are a range of applications that need to be managed, maintained and updated for optimum performance. These include applications like Customer Relationship Management, Hospital Information System, Electronic Medical Records, Pharmacy Information Management, Laboratory Information Management, etc. Managing all of the above in-house is proving to be a big burden cost-wise as well as resource-wise. The future of healthcare IT outsourcing is all about ensuring that IT network is working at optimum levels and any kind of technical support is just a phone call away. Health information, records, and any patient data that is stored within healthcare systems, whether online or offline need to be secured and hence a lot of regulatory standards and safe data transmission practices have come into picture recently. Protected Health Information or PHI has to remain confidential and healthcare organizations must have all the systems and technology in place to ensure this. Moreover, the changing medical coding standards (ICD-10 and upcoming ICD-11 guidelines) have to be taken into account as well. All these security and compliance management activities can now be confidently handled with healthcare IT outsourcing because healthcare businesses can be at ease that their processes are fully safe and as per the standards. Since the implementation of PPACA (Patient Protection or Affordable Care Act) and the consequent regulatory changes in the US, healthcare institutions have come under great pressure to reduce costs and make patient care more affordable. Another factor is a huge rise in medical tourism to low-cost destinations in Asian countries. Healthcare organizations have also been plagued by the loss of revenue caused due to billing inefficiencies and errors. All of the above factors have made IT outsourcing in the healthcare domain a top priority for reducing the cost burden and optimizing processes. North America accounts for the largest share, "72% of the global healthcare IT outsourcing market and is expected to reach $36 billion by 2018," as per Healthcare Outsourcing Market Report. Due to the PPACA enactment and mandatory ICD guidelines, healthcare organizations in the US are opting to outsource more of their IT operations in order to ease administration and reduce costs. "In terms of value, India is expected to account for the largest share of the global healthcare IT outsourcing market by geography," as per another report by Research and Markets. India boasts of highly qualified and trained resources in the field of healthcare outsourcing and is an affordable destination for all types of healthcare IT services. The trend of healthcare IT outsourcing solutions in 2018 clearly shows that there is an increase in demand for consolidation of healthcare systems, structured processes, and comprehensive documentation. This requires a significant streamlining of all the functions in a healthcare organization and IT is one of them. By outsourcing IT operations, healthcare businesses are able to focus on other aspects that need to be optimized and structured for greater efficiency. The need for consolidation is also fueling the growth of cloud-based services. Be it for IT infrastructure, SaaS applications, data management, data storage, etc., moving to cloud is another aspect that is gaining prominence. Healthcare institutions are increasingly demanding cloud-based services from healthcare IT outsourcing services providers for scalability, reduction in costs and to make it easier for collaboration. The RCM outsourcing market is seeing favorable growth. Healthcare institutions were challenged due to inefficiencies and errors in the complex billing and accounting process that often resulted in huge loss, but RCM solutions promise to minimize those inaccuracies and provide more transparent and precise billing process. Healthcare institutions are opting to outsource the RCM process in order to reduce their in-house burden. "The healthcare RCM outsourcing market in the US is forecasted to grow at a CAGR of 13.07% during the period 2018-2022," according to a Technavio report. Just like in any other industry, analytics is proving to be hugely beneficial in the healthcare domain as well and we are seeing a significant rise in institutions asking for analytical and intelligence services from experts. There is no dearth of data in the healthcare industry and it is time to put that data to good use by analyzing it. "Healthcare analytics is a booming industry in the United States, which is expected to grow to more than $18.7 billion by 2020," according to a report. 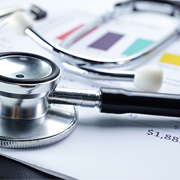 Healthcare analytics can help in reducing costs, drive clinical decision-making based on past data, optimize scheduling and coordination, reduce insurance and billing frauds, streamline inventory management, and a lot more. Outsource2india offers a complete range of healthcare BPO services. We follow the latest trends in healthcare IT outsourcing market and align our services accordingly to remain viable, cost-effective, and scalable for our clients. Ours is a 19-year old ISO-certified company which provides services that include medical billing and coding, healthcare claims adjudication, teleradiology, medical transcription, medical animation and illustration, pharmacy business services, healthcare IT infrastructure management, and more. Our healthcare solutions are HIPAA and ICD-10 compliant and we strive to increase your overall efficiency while reducing your administrative cost burden by at least 40%. Reach us right away to obtain healthcare IT services that can empower and propel your business towards high ROI.